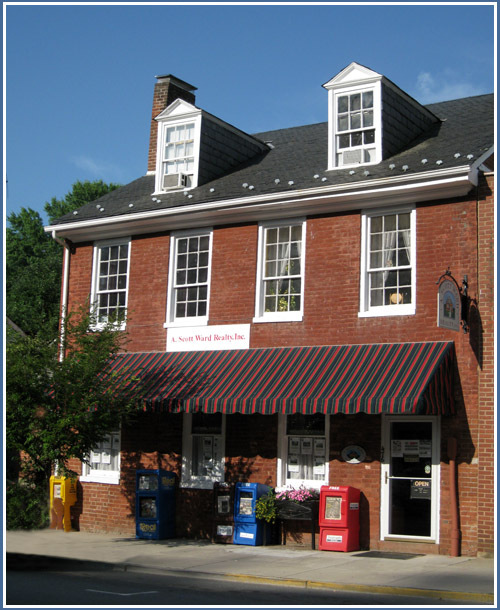 Comments: The Harris Building, located at 474-476 Valley Street, was built circa 1840 as a commercial building with living quarters on the second floor. When her husband, Lafayette Harris, died in 1856, Martha J. (Minor) Harris began a millinery and dry goods store here to support herself and her three daughters, Florence, Nannie, and Etta. The Harris women lived above the store. In 1876, Florence Harris married Rev. McCutcheon and moved to Waynesboro, VA. Etta and Nannie remained single and helped their mother run her shop, which sold lace, material, corsets and pretty hats. Sometime in the 1890s, Miss Etta Harris did a peculiar thing. Her mother's store was just across the street from the quaint cottage called 'The Palace', home of Miss Etta's longtime bachelor fiance, Billy Beal. Noone knew why Miss Etta did what she did -- took a pot shot at Billy one night when he came outdoors to fetch firewood. Needless to say, the engagement was broken.